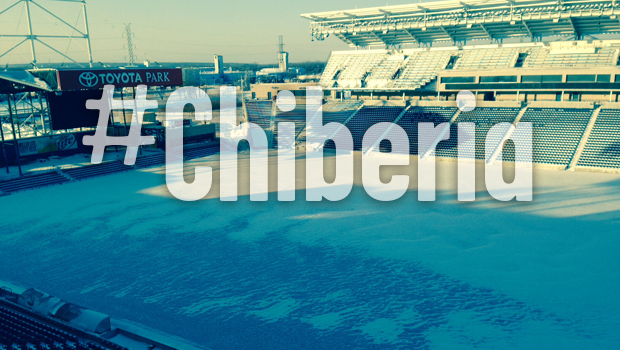 How to Survive Chiberia 2015. Chicago is infamous for below freezing temperatures and piercing cold winds. Coming from someone who absolutely hates the cold, here are some tips on how to keep warm. At DePaul, you will notice that a majority of the students will wear jackets from brand names such as North Face, Canada Goose, and Patagonia. Since these jackets come with these big brand names, they tend to be a lot pricier. Although these jackets are definitely pricier, they often come with good warranties and guaranties if something were to happen to them. In addition, they do come with lots of features and are supposed to keep you very warm which is why people think they are worth it. Highly recommend fleece lined leggings! Most people that have not experienced the freezing temperatures of Chicago don’t necessarily understand the concept of layering and see it as unnecessary. However each layer does count and makes a huge difference on how warm you will be. It is better to be safe than sorry. In the society we live in today, people can barely go 2 minutes without their phone, even during freezing temperatures. Now with gloves that are phone friendly, people are able to use their phone accordingly without having their fingers and hands freeze off. Hats are also an easy and a fashionable way to accessorize. They come in very handy on bad hair days as well. At DePaul you will find a wide variety of different hats. Most of the time you can find students wearing beanies, DePaul knitted beanies especially and hats with earflaps. Chicago is mostly known for its monochromatic and minimalistic style. Especially in the wintertime, there are not a lot of vivid colors that can be seen. People will most of the time wear black on black more than anything else. Because Chicago is such a fast paced city it is also difficult to keep up with all the latest trends and styles. But with the help of the Internet, there are hundreds of fashion blogs that exist for the sole purpose of keeping up with all the latest fashions. …Christina Han is currently in her first year at DePaul and is interested in communications and marketing. Christina is also a member of the OSI EDGE Team, where she will be planning an event with other members for Earth Week at DePaul! Why Sorority Life is Much More Than What Elle Woods Leads Us to Believe. Web Design 101: What is Responsive Design?